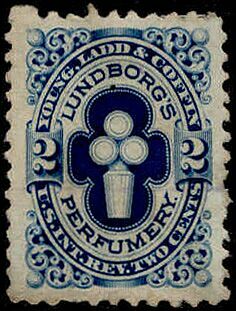 Young, Ladd & Coffin stamps were issued in four denominations, all of which can be found perforate and imperforate. 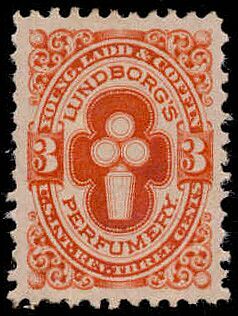 The one-cent was issued from late 1877 through March 3, 1883. 831,034 were issued on silk, pink and watermarked papers. The ones above are both on pink paper. 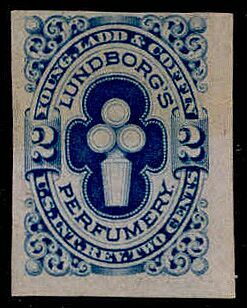 The two-cent stamps were issued from late 1877 through December 29, 1882. 831,034 were issued on silk, pink and watermarked papers. 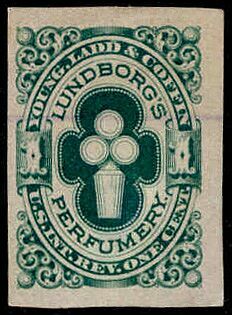 The imperforate copy above is on pink paper, and the perforated one is on watermarked paper. 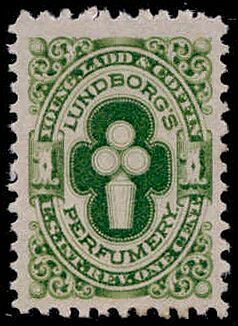 The three-cent stamps were issued at the same times as the two-cent ones. 686,844 of these were printed on the three papers. Both of those shown are on pink paper. 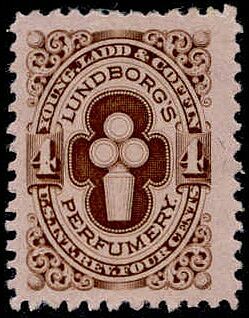 The issue dates for the four-cent stamps were from late in 1877 until March 3, 1883. 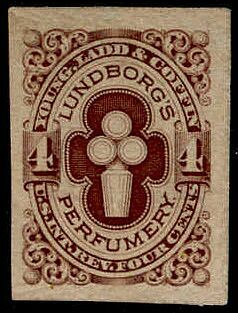 485,941 were printed, on silk, pink and watermarked papers. The imperf one above is on watermarked paper, and the perf one is on pink paper. 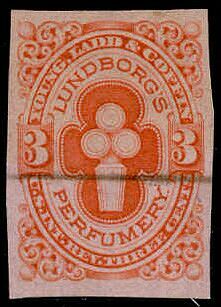 The pink papers used for these issues vary in shade from almost a muddy gray to bright pink. 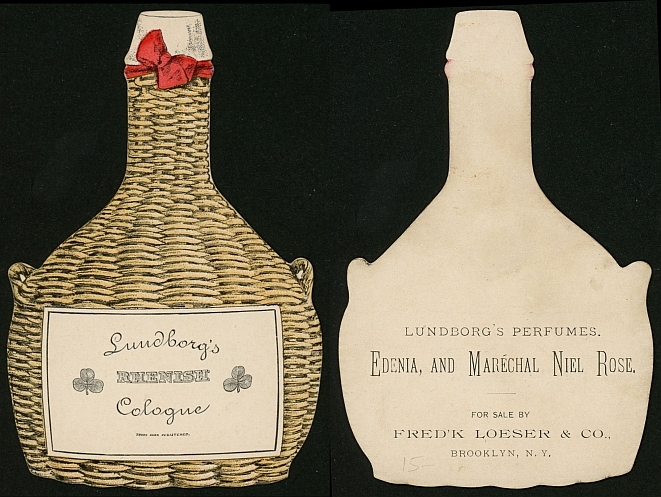 A trade card for Lundborg's Rhenish Cologne.